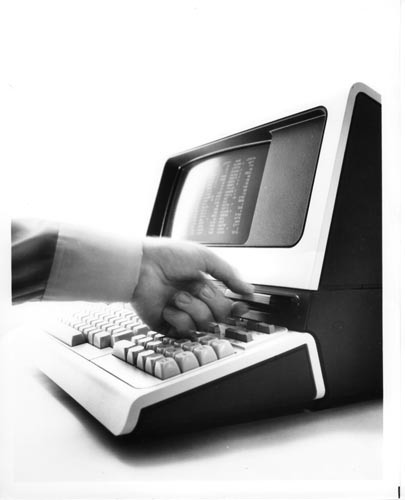 Black and White image of a Hewlett-Packard Display Terminal. Has keyboard with control switches and buttons. Display has columns of data. A hand is inserting a tape cassette.